The glue guy can become a crowd favorite or leave casual fans scratching their head as to why said glue guy even gets minutes. It can really go either way. But the glue guy doesn’t do it for crowd adoration (nor does he do it for the Vine) but he does it for the respect of his team, his coaches and simply because somebody has to do it. Josh McRoberts, Charlotte Bobcats: This guy was acquired in a quite deal between the Bobcats and Orlando Magic which included Hakim Warrick in February of 2013. Warrick is no longer in the league while ‘McBob’ is signed through next summer and is helping his team get to the playoffs. He’s a capable rebounder who can space the floor with the three-point shot (37%). But where he clearly excels and almost amazes is with his ability to pass the rock. Only LeBron James, Kevin Durant, Joakim Noah, Nicolas Batum and Kevin Love are better passers as non-guards than McRoberts who dishes out 4.2 dimes per game. Kawhi Leonard, San Antonio Spurs: Some think he is ready to become the go-to-guy for the Spurs once Tim Duncan decides to retire. While the jury is still out on such a bold proclamation, Leonard has become integral to the Spurs attack on both sides of the basketball. He boasts a ridiculous defensive rating of 98 with an offensive rating of 114. That’s a plus 16 differential! He has become more efficient raising his percentages and averages this season in less time on the court from last year (31.2 minutes last year compared to 29 this year). He rebounds (6.2), he shoots the three (38%) and plays perfect system basketball that compliments what San Antonio wants to do. Shawn Marion, Dallas Mavericks: It’s hard to believe ‘The Matrix’ is a 14-year veteran far removed from being a regular at NBA All-star weekend. Still at age 35 he and teammate Vince Carter have accepted their role changes courtesy of father time with grace. Marion still plays good defense, rebounds well (6.5) and scores 10.5 points per game despite not having many (if any) plays ran for him. Tony Allen, Memphis Grizzlies: He’s a world-class perimeter defender and might be considered more of specialist than anything else. Still, Allen is the definition of a nuisance on defense. He’s battled some nagging injuries this year but still is effective and chips in 9.1 points per game. One of the best things about Allen (and a lot of guys on this list) is that he plays within himself. Evidence of that comes in the 55% of his total field goal attempts which come at the rim (between 0-3 feet). P.J. 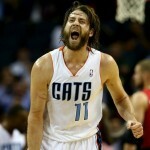 Tucker, Phoenix Suns: This is a guy that just gets it. A rugged physical defender who Phoenix often calls on to defend the opposing team’s best player, Tucker is the epitome of a great role player. 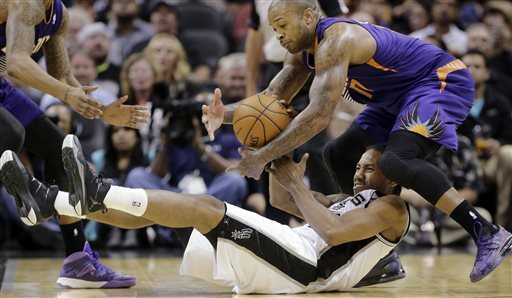 He’s getting 30.8 minutes in his third season and has been a surprise main stay in the Phoenix starting lineup. He loves to body his opponents making them uncomfortable in both the post and on the perimeter. He isn’t a liability on offense with an accurate shot from three at 39%. Tucker has thrived statistically against in division opponents averaging 10.1 points and 8.3 rebounds per game and is huge part of the Suns’ success this season. 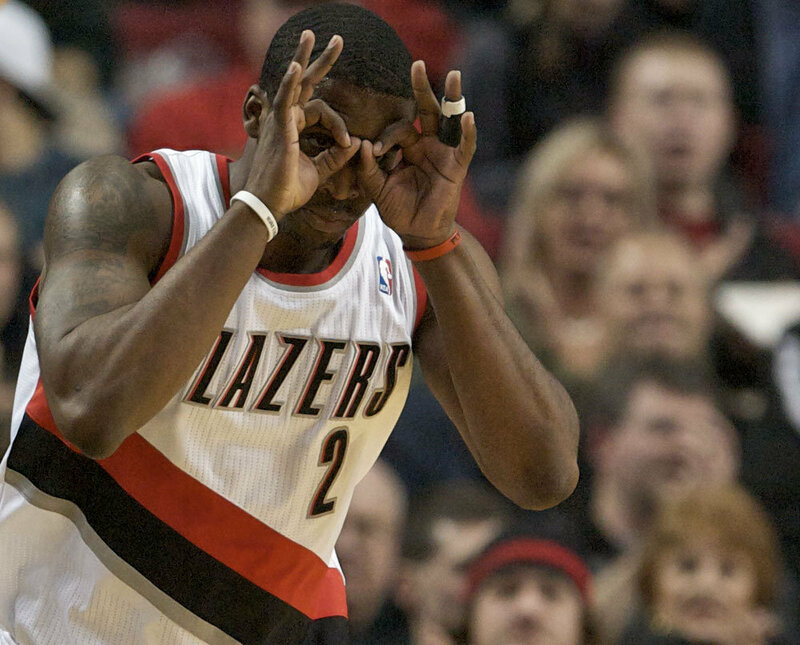 Wesley Matthews, Portland Trail Blazers: More than a few eye brows were raised when Portland inked Matthews to a five-year deal worth approximately $34 million back in the summer of 2011. Utah thought that price tag was too rich for a guy with only one year in the league but it appears they were wrong and Portland made out with a commodity. Matthews is largely an after thought when folks consider the success of the Trail Blazers this season but he is very much a factor. 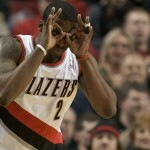 At 16.3 points per game he’s Portland’s third leading scorer. He makes sure defenses can’t pack the paint on LaMarcus Aldridge and gives Damian Lillard an option from the outside by connecting on 39% of his shots from three. He’s a great locker room guy and competitor who has developed the offense to match his tenacious physical defense. DeMarre Carroll, Atlanta Hawks: Here’s a guy with an under appreciated game but he’s stayed the course to become a great fit for the Hawks. Atlanta needed a starting caliber wing player to begin the year with Lou Williams on the mend and he was just the man for the job. Carroll never lost his starting position once Williams returned and has produced across the board value for a team that has over achieved much of the season. 11 points, 5.5 rebounds, 1.8 assists and 1.5 steals on 47% from the floor, 37% from three and 77% from the line round out his solid stat line. While the Hawks have slipped in recent weeks, Carroll has been fairly steady filling in all areas necessary to keep Atlanta competitive. Shaun Livingston, Brooklyn Nets: The Nets made multiple moves over the summer to put them in the conversation to be one of the best in the Eastern Conference. The signing of Livingston was not seen as one of those moves but it has been more than cosmetic. He has come as far back as he possibly can from that gruesome injury in 2007 and is a key member in the Nets rotation this season. He filled in for the gimpy Deron Williams in the starting point guard role to begin the year and has remained in the starting lineup in Brooklyn’s small-ball attack. He gives Brooklyn a cerebral player on the court who doesn’t look for his own shot allowing the trio of Williams, Paul Pierce and Joe Johnson to get off accordingly. Nothing statistically stands out about his season outside of the 32-19 record Brooklyn owns when he starts, compared to the 7-15 record they have when he comes off the bench. I think that proves value enough. 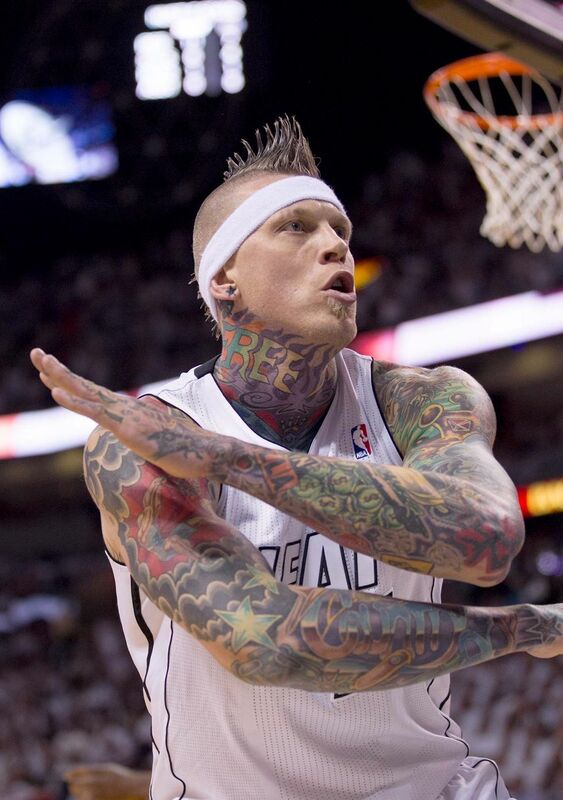 Chris Andersen, Miami Heat: He’s never averaged 10 points or 10 rebounds a game in any season. He is a career third ‘big’ and has been so in almost every system he’s been a part of. 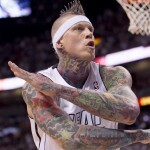 And that’s just fine with the Birdman. A popular player where ever he goes because of his “look”, antics and sheer hustle Andersen is a role playing poster child. The Heat took a chance on the eccentric veteran last season and were rewarded with his infectious energy and defense. They have since raised his minutes from 14.9 last year to 19.6 this season as they have gained better understanding of how he can be effective. His per 36 minute averages scream for more usage at 12.5 points, 9.7 rebounds and 2.6 blocks. But at 35-years-old he seems content as he’s ever been on a contending team filling their need for size, energy and rim protection.